Cyprus is the third largest and third most populous island in the Mediterranean, and a member state of the European Union. Cyprus enjoys a warm Mediterranean climate and the currency is Euro. The economy of Cyprus is classified by the World Bank as a high-income economy rated as B+ by S&P. Cyprus is the hub of energy, shipping and an international tourist destination. Cyprus became the EU member state in May 1, 2004 and has close ties member states of the European union. Cyprus is a major hub for international trade and Cyprus is a full EU member country. The country suffered a banking bailout crisis and because of this, the country needs a significant foreign investment to recover. in the near future. Cyprus island is a popular destination for tourists, attracted beautiful beaches and lively entertainment. Cyprus enjoys tropical Mediterranean climate with about 300 days of sunshine per year. Nicosia is the capital and Limossol is the largest city in Cyprus, besides Larnaka and Pafos. Because of the economic crisis in cyprus, the Government of Cyprus welcomes investors to invest in the country and has made the acquisition of passport with easy procedures and reduced investment amounts. Fast track citizenship approved within 3 months. Lifetime EU citizenship with one-time lump investment. Pleasant climate with mild winters and dry summers. No restrictions on multiple citizenship (dual). No taxes based on citizenship, unless domiciled based on tax resident status. Best education, healthcare and low cost of living. Future children automatically acquire EU citizenship. Political stability and a high standard of living. Easy application process with high approval rates. Dependents, spouse and children under 28 can be included in one single citizenship application. The acquisition of citizenship in Cyprus is not reported to other countries. No restrictions on any country. In 2018, Cyprus government announced new changes to citizenship scheme. It was renamed as Cyprus investment scheme and the scheme is capped to 700 applications annually. The Committee of Supervision and Control for the Cyprus Investment Programme was established which consists of representatives from the Ministry of Finance, the Ministry of Interior and Invest Cyprus and was established on the basis of a Council of Ministers Decision, aiming at further improving the Cyprus Investment Programme. Effective from May 15, 2019, as a part of new changes of the citizenship by investment scheme. The minimum for purchasing resale of properties is increased to €2.5 million from previous €2 million. The investment holding period is increased to 5 years (from 3 years). Properties or investments cannot be resold before 5 years else citizenship will be revoked. Investments in shipping sector will be eligible and will be included as new option. Investors will be allowed to switch or change investments during the 5 year period. Cyprus citizenship scheme will be more transparent and annual report will be published. The applicant should have made a purchase or should have participated in companies or organizations established and operating in the Republic of Cyprus with investment costs of at least €2,0 million. The invested funds shall be channeled towards the financing of the investment objectives of these companies exclusively in Cyprus, based on a specific investment plan. The applications shall be evaluated to verify that the companies or organizations have proven physical presence in Cyprus, with significant activity and turnover and employ at least five (5) Cypriot or citizens of European Union member-states. The minimum number of employees shall increase, if more than one applicant invest simultaneously or almost simultaneously in the same business or company. In addition, the employees of the companies need to have legally and continuously resided in Cyprus during the five years preceding the application submission date. The applicant should have bought units of at least €2,0 million from alternative investment funds (AIF) established in the Republic of Cyprus, licensed and supervised by the CySec and 3 whose investments are made exclusively in the Republic of Cyprus, in investments that meet the criteria of this Programme or in areas approved by the Minister of Finance. In order to confirm that the investments that meet the criteria of the current Programme will be kept for at least three years, the manager or the auditor of the Fund shall inform in writing and on an annual basis, the Ministries of Finance and Interior with reference to the value of the initial investment. The purchase of financial assets of Cypriot companies or organizations of at least €2,0 million, such as bonds, bills and securities, issued with the approval of the CySec, by companies that have proven physical presence and substantial economic activity in the Republic of Cyprus, and have as a purpose the financing of the investment plans of these companies or organizations exclusively in Cyprus, based on an investment plan, fall under this criterion. It is noted that the purchase by an AIF of units of other AIFs is not considered eligible. The applicant may proceed with a combination of the above investments, provided that the total investment will amount up to at least €2,0 million. Within this criterion (combination of investments) the applicant may purchase special government bonds of the Republic of Cyprus, up to €500.000, which will be issued by the Public Debt Management Office of the Ministry of Finance, on condition that the investor will retain these bonds for a three-year period. The characteristics and the terms of these special bonds will be determined by the General and Special Issue Terms of the Government Bonds of the Republic of Cyprus. Investments in government bonds through the secondary market are not considered eligible. Applications are processed within 3 months. Permanent residency is first issued which is then converted to citizenship for investors and their families after 6 months. 1. The Investor’s name must not be included on the list of persons whose property is ordered to be frozen by the EU. 2. No Criminal Record: the applicant must have a clean criminal record. Furthermore, his name must not be included on the list of persons whose property is ordered to be frozen within the boundaries of the European Union. 4. Residence in the Republic of Cyprus: In all cases listed in Part A, the applicant must hold a permanent privately-owned residence in the Republic of Cyprus, the purchase price of which must be at least €500.000, plus V.A.T. 5. Family and unmarried children under 27 years in pursuing education can be included in one single application. It is noted that members of the same family, which apply separately as investors, can collectively acquire a residence, provided that the total value of this home-property covers the amount of € 500.000 per each applicant. 6. Must have excellent references and background information. 7. There are no restrictions on any nationalities or countries who can apply. 8. Main applicant must be above 18 years of age. Six month residency requirements after investment for citizenship in Cyprus. The applicant, prior to his/her naturalization as a Cypriot citizen must hold a residence permit in Cyprus. If the applicant does not already hold a residence permit, he/she may apply for an immigration permit on the basis of Regulation 6 (2) of the Aliens and Immigration Law, simultaneously with the application for naturalization. If the application for acquiring an immigration permit is made solely for purposes of acquiring the Cypriot citizenship, in accordance with the provisions of this Programme, there are no other conditions than those stated in both Part A and Part B of this Programme. It is noted that all of the above also apply for the adult members of the family of the investor, who will apply for naturalization. In case the application for naturalization is rejected for any reason, the immigration permit, obtained in accordance with the provisions of this Decision, will be canceled immediately. Very fast, usually decisions are given within 70 to 90 days. The entire application process takes 90 days to receive the certificate of naturalization (proof of cypriot citizenship). This certificate is a proof that you have become Cypriot citizen. Our lawyers will help you with full hand-holding process from start to finish. Step 1: Pay a retainer fee of €10,000 to authorized agent. This amount will be adjusted later towards the our lawyer and service. Step 2: We will request initial documents in order and will do a due diligence check on you. If our lawyers are satisfactory complying with Government requirements, we will start the application process with Cyprus. If you fail the checks we will refund part of the initial fee. We do not accept clients who dont have 100% success rate. Step 3: We will be assisting you complying with the investment conditions (buying real estate, bonds, business investment, accommodation etc). This should take about a month. Step 4: Launch the citizenship application under the naturalization scheme. Step 5: After about 3 months from the date of application, you will be issued certificate of naturalization (proof of citizenship) and using this certificate you can apply for Malta passport document. Note: You have to maintain real estate / bonds for 3 years without any interruptions, if not your citizenship will be revoked. 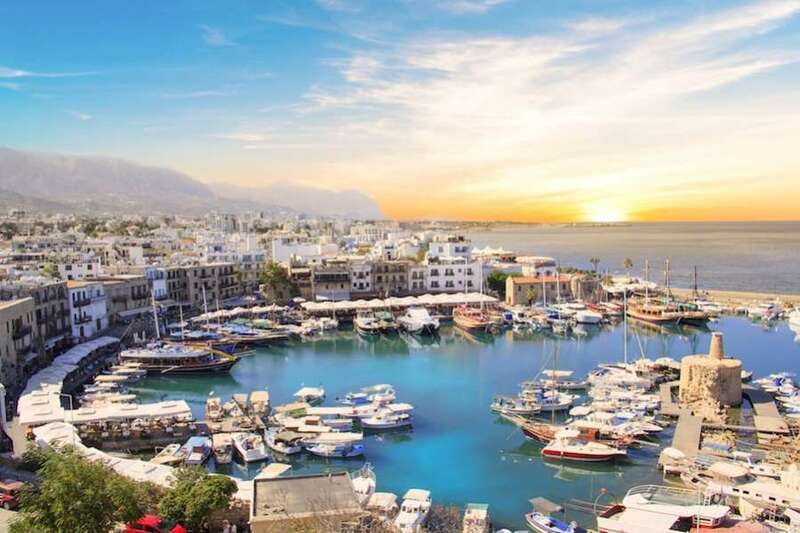 Under the Cyprus citizenship program, there is an option to qualify for economic citizenship by investing 2,500,000 euros in cypriot real estate. The applicant must also hold a permanent privately-owned residence in the Republic of Cyprus, the purchase price of which must be at least €500.000, + V.A.T. The following documents are required in order to apply for citizenship. Clean Criminal Record: Police Certificate of Clean Criminal Record from the country of origin and the country of residence (if it differs). FBI clearance (if you have lived in USA). Health clearance certificate from a registered medical practitioner. Business background information and documents. All original documents issued by a foreign authority should be translated to either Greek or English and be duly authenticated (They should bear the stamp «APOSTILLE», if they are issued by countries that have signed the Hague Convention, otherwise they should be sealed by the Ministry of Foreign Affairs of the issuing country and the diplomatic mission of the Republic of Cyprus in the issuing country). Cypriot passport holders can visit 173 countries in the world without visa and ranks 15th best passport in the world according to 2018 Henley passport index.